A premium reflective backsack with Hi Vis colours. Safety on your back. 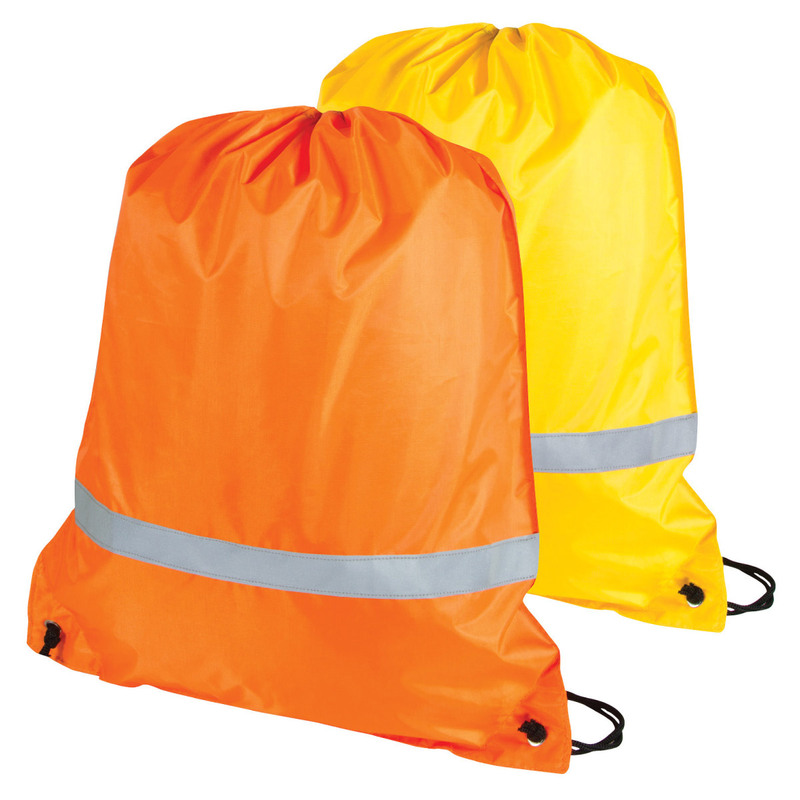 These reflective backsacks are made from bright nylon material with a reflective stripe for increased visibility at night. 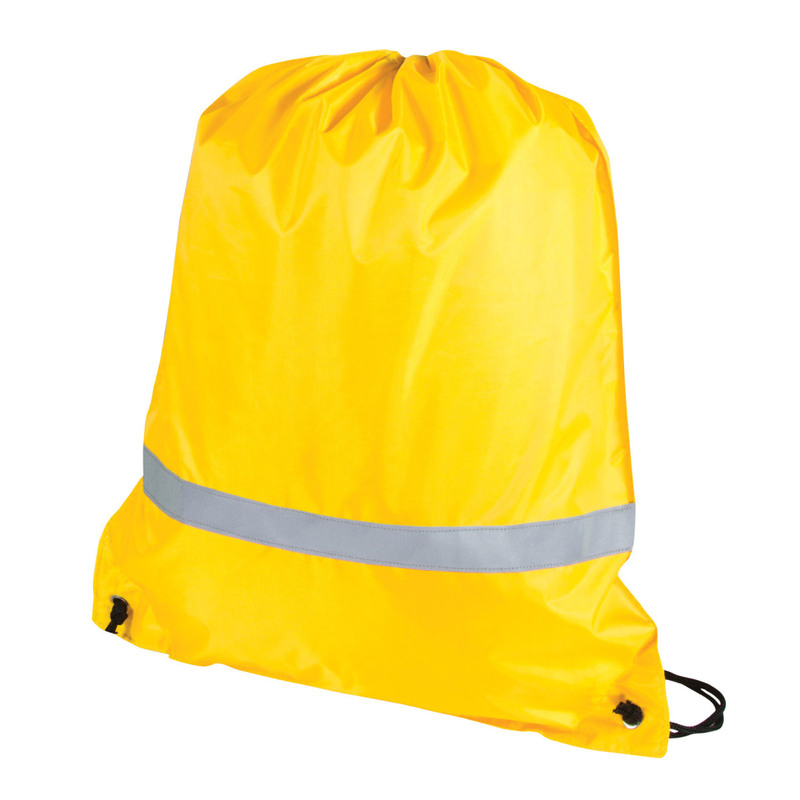 The bags have a large main compartment, a drawstring closure and feature a large print of your logo on the back of the bag. Excellent for kids, trades workers and more.